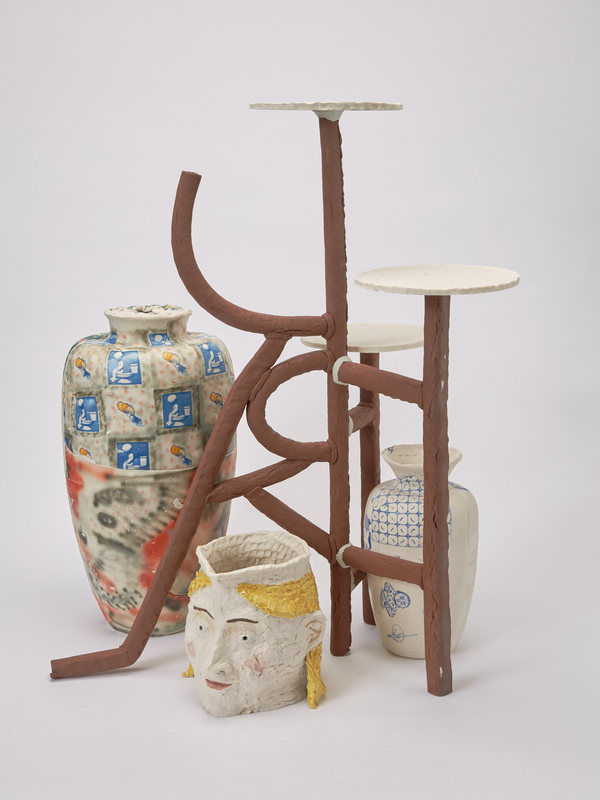 Trevor Baird is at the forefront of the New Ceramics movement. 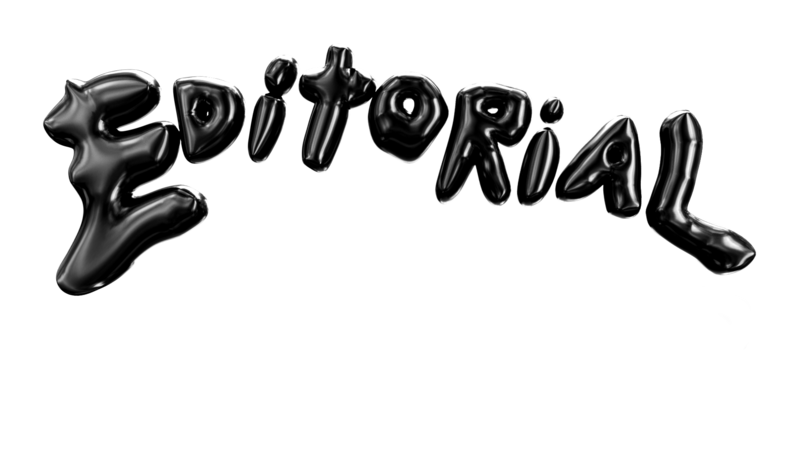 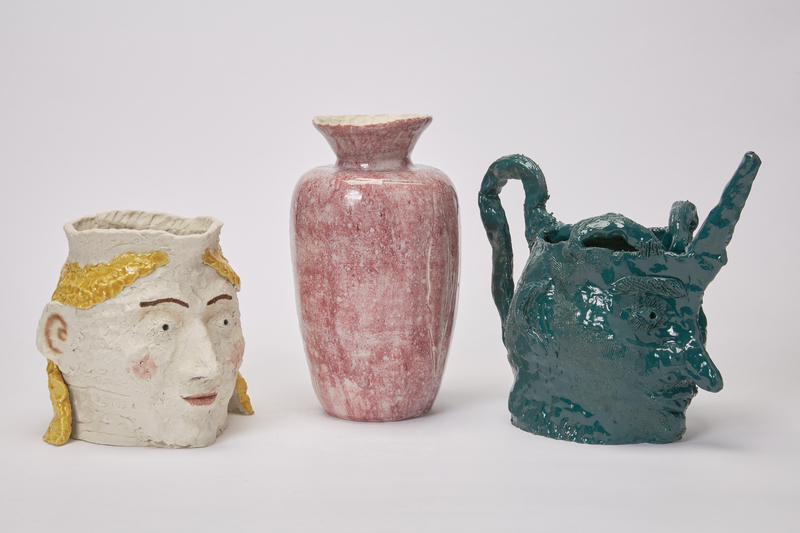 That’s a movement I just made up, but it starts now and consists of ceramics like you’ve never seen them before. 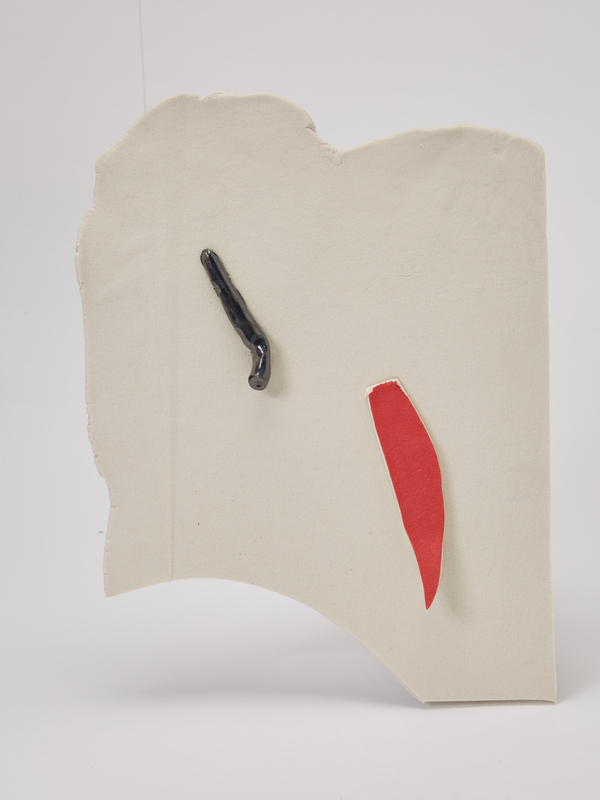 These aren’t the sleek, unapproachable art-objects you might find in the living room of a childless professional couple, nor the typical hobby creation of a bored and unemployed 30-something. 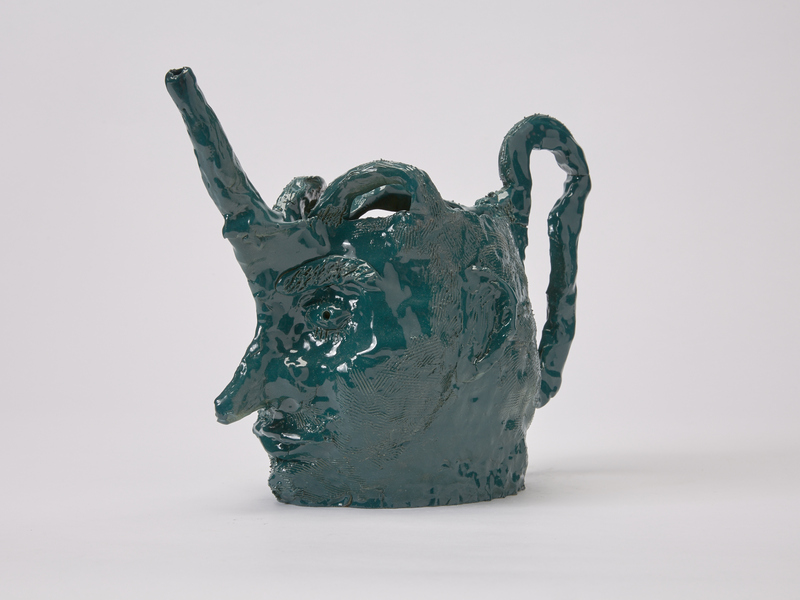 Baird’s work welds ancient hand-building techniques with a pop cultural understanding of aesthetics, expressing a self-aware, contemporary sort of anxiety. 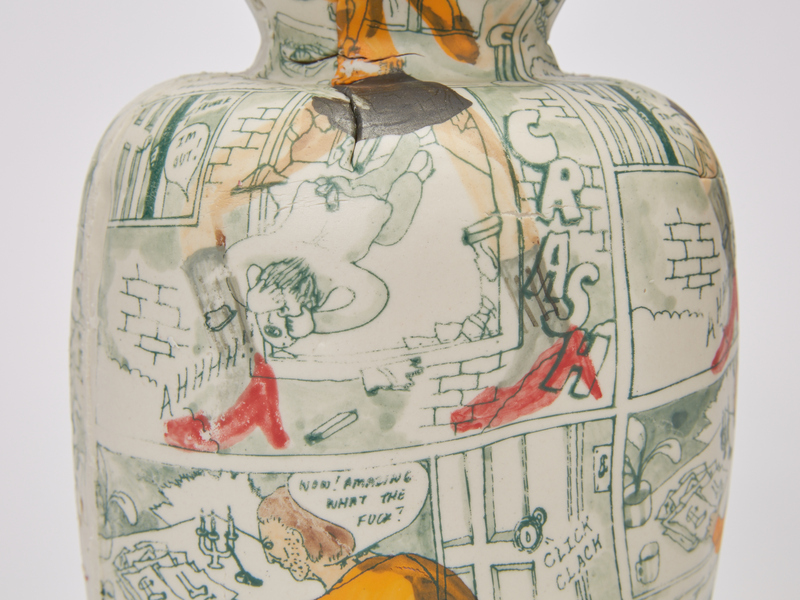 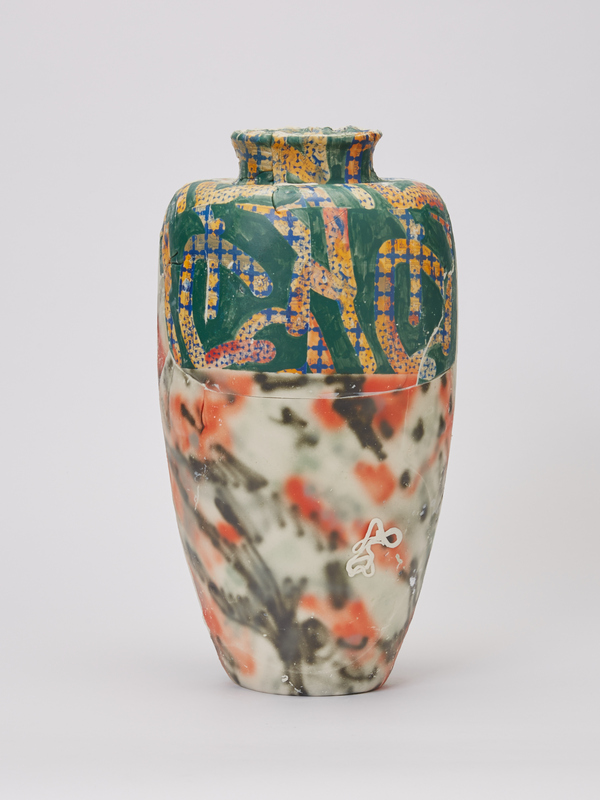 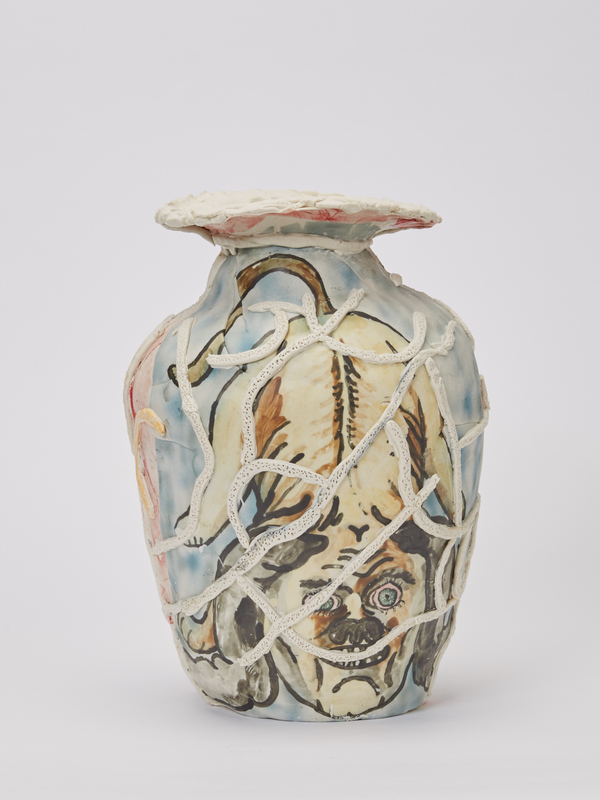 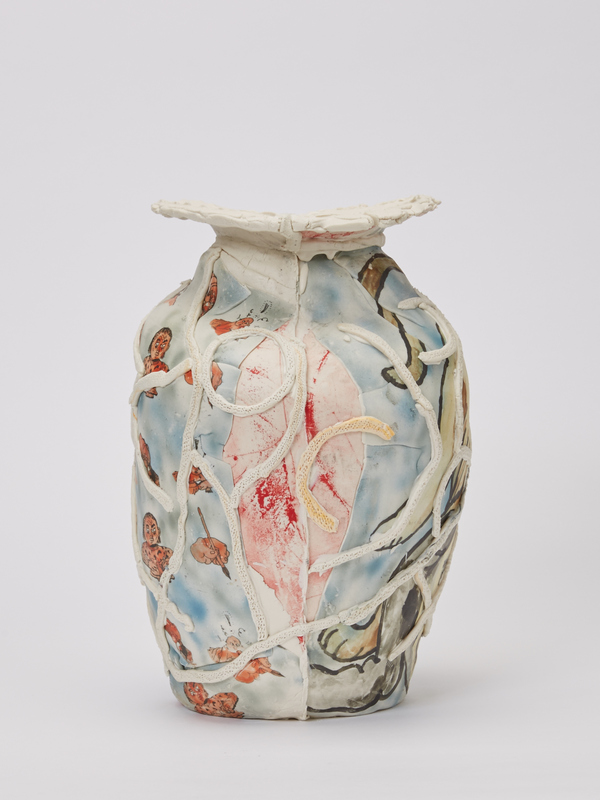 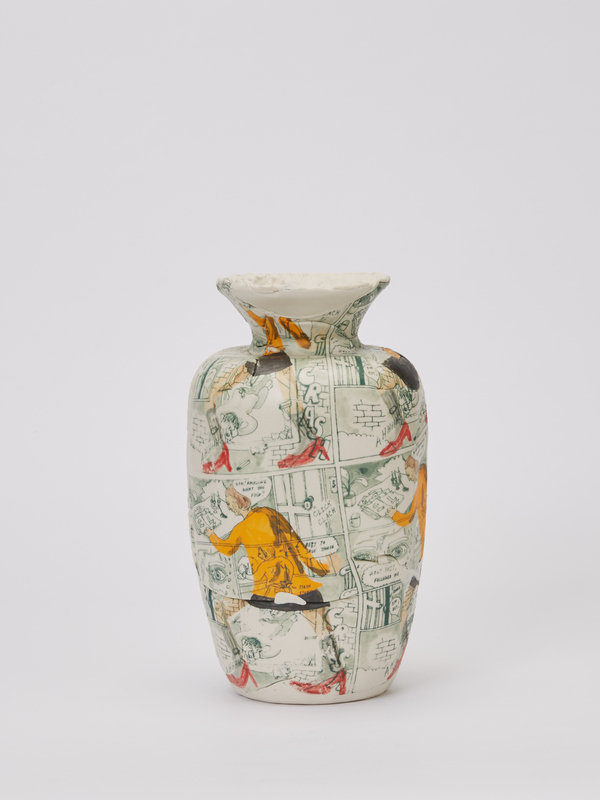 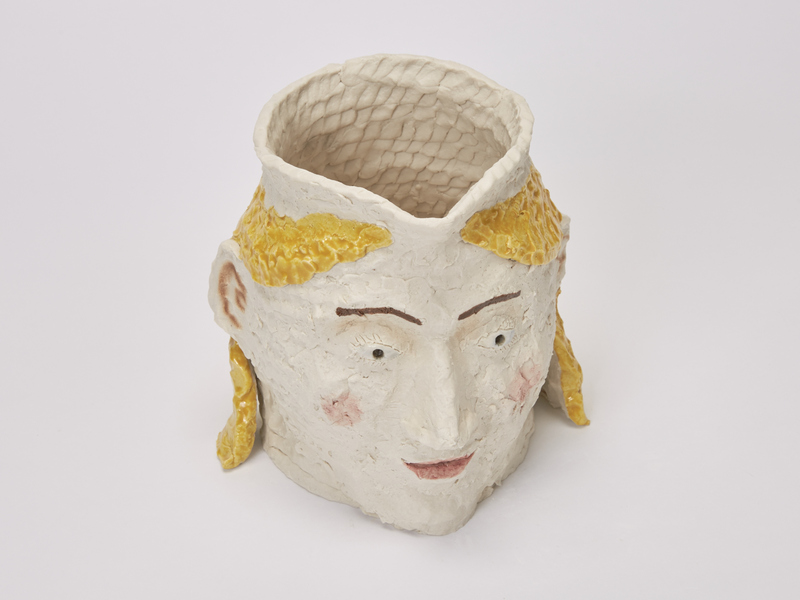 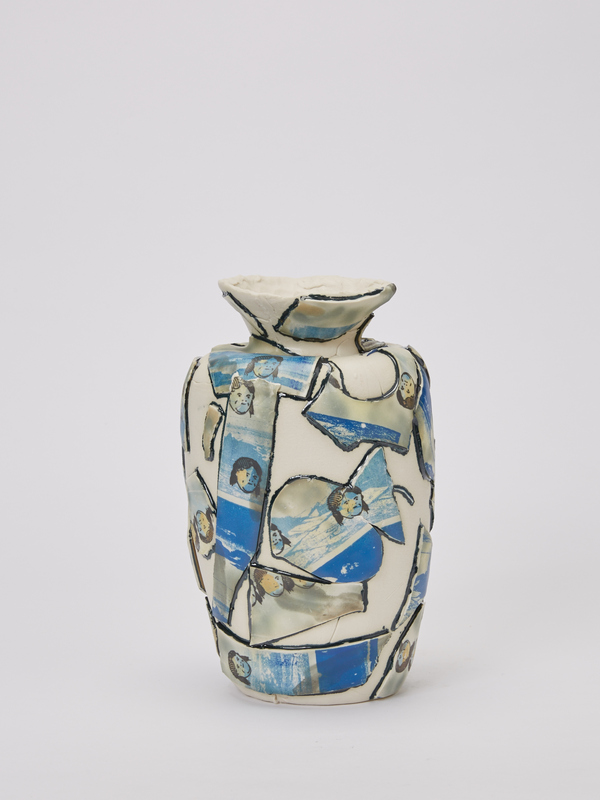 A further testament of his hybrid of old and new, Baird’s work incorporates celebrity culture (see his Nicole Kidman water jug), a nod to a time when pottery served as a narrative tool, depicting fables from mythology. 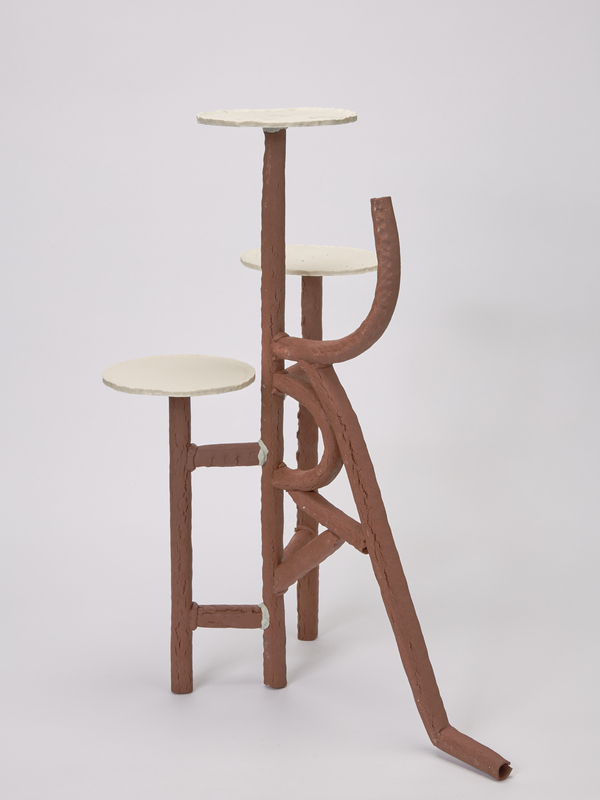 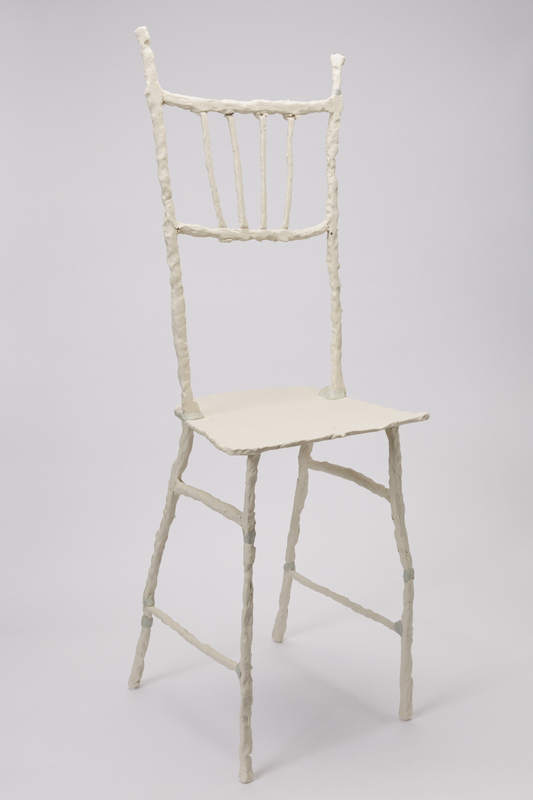 Interested in utilitarian materials, Baird has experimented in building ceramic tables and chairs, art objects that project functionality while absurdly renouncing it. 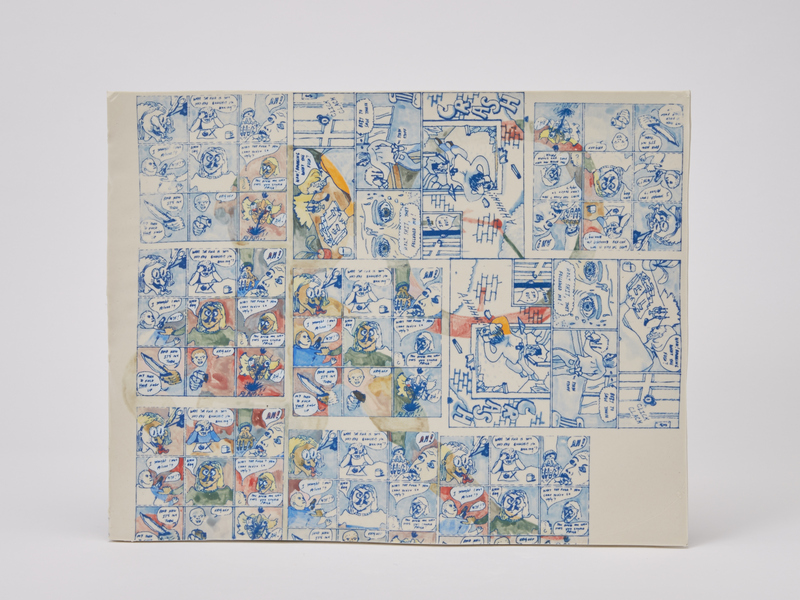 By scanning his cache of comics and illustrations and applying them to his 3D creations, Baird produces work that is alive, unable to be closed up and stored on the bookshelf like a zine or a comic.